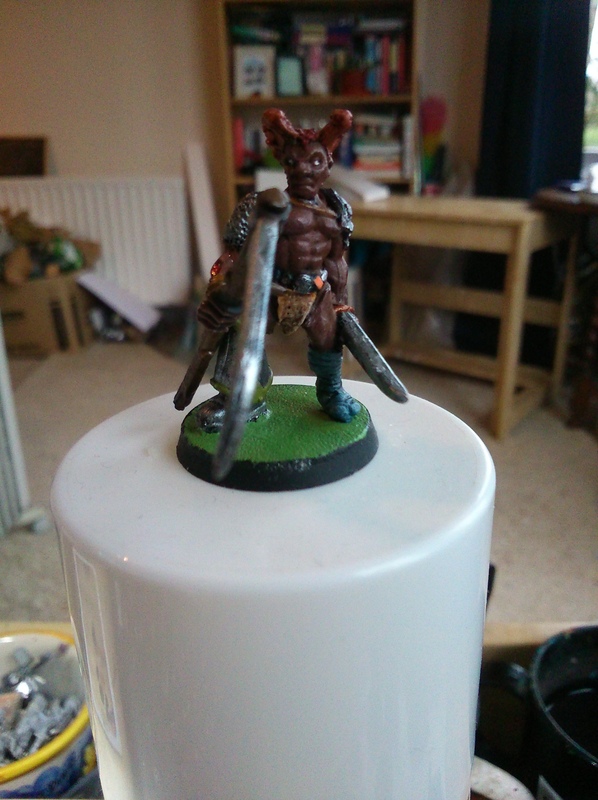 This little guy is a Chaos Thug that I was sent to rebuild by a nice chap on the Oldhammer forum. When I received him, he was an arm and a leg down, and his sword was long-gone too. Someone had started the process of chopping off his other leg as well. 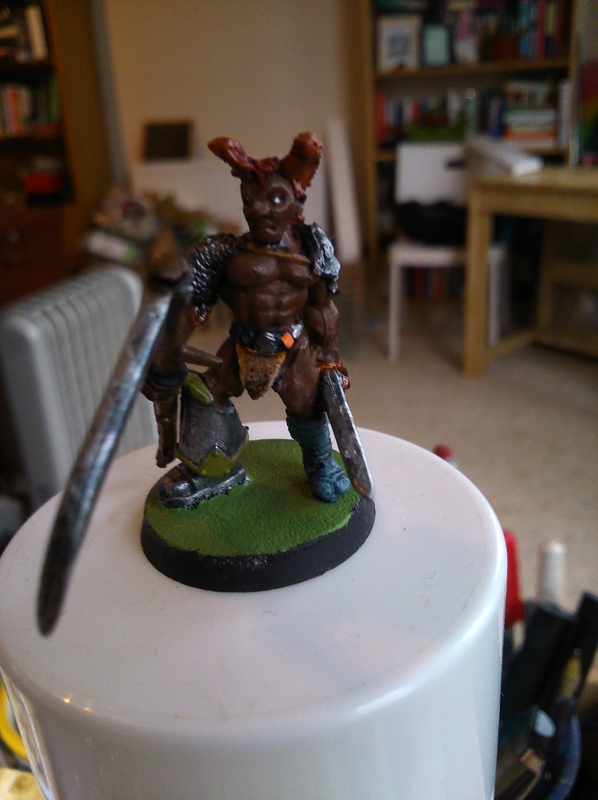 So I filled the saw-marks in his thighs with green stuff, then raided my bits boxes for replacement parts. For each limb I laid out a selection of suitable parts, then put the decision into the hands of the chaos gods and rolled a dice to see what he ended up with. 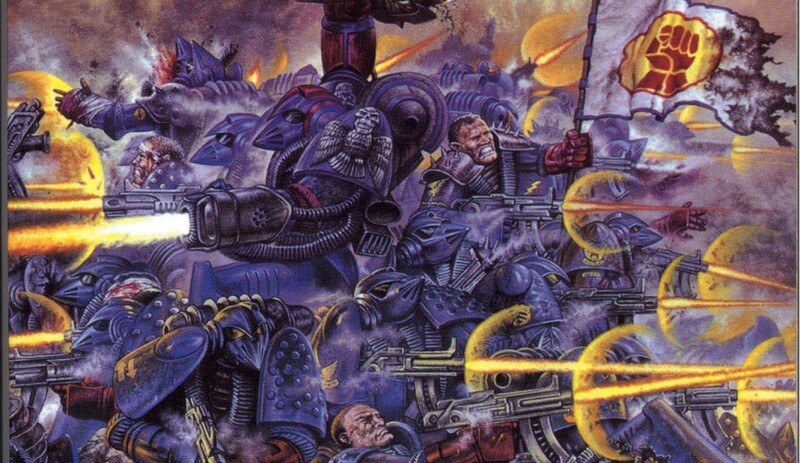 So his leg is from a plastic chaos space marine, his arm is a plastic zombie arm, and the sword blade i think is from a plastic skaven. I gave him the best paint job I could – it’s hardly golden demon standard but I’m quite pleased with it. I think the skin tone blending is a bit too subtle though. Glad to see him with a full complement of limbs!